Kilimanjaro has been on my bucket list for a very long time, but I never expected that somewhere between climbing Mount Meru and Kilimanjaro I would have a life transforming experience that over the six day trek would change my outlook on life forever. I really wanted to see Kilimanjaro at its least crowded. 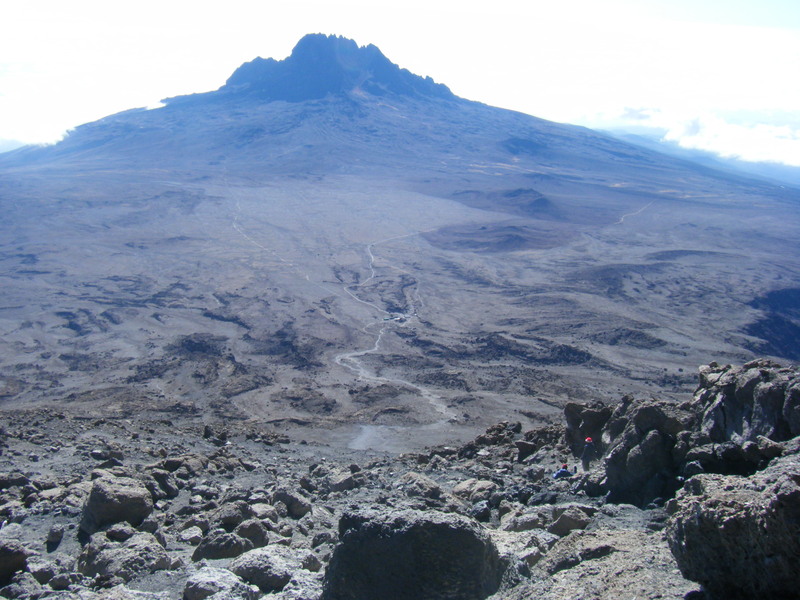 Given thousands of people climb it every year this was unlikely to happen, but the Rongai route seemed like the sensible choice as it comes from the North and avoids the main route of Marangu on the way up, which is used by large groups climbing the mountain for charity. All routes use this path to descend so that everyone gets to the national park gate. So on the way down I had chance to walk the incredibly busy route making us glad for my route choice. 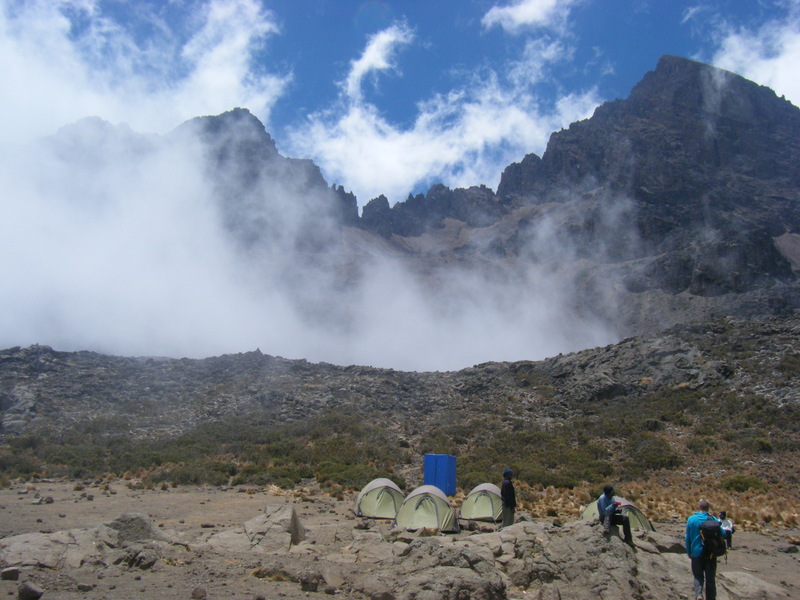 Day 1 heading up to Simba camp, day 2 to Kikelewa Cave, day 3 to Mawenzi tarn hut and day 4 to Kibo before heading for the summit. 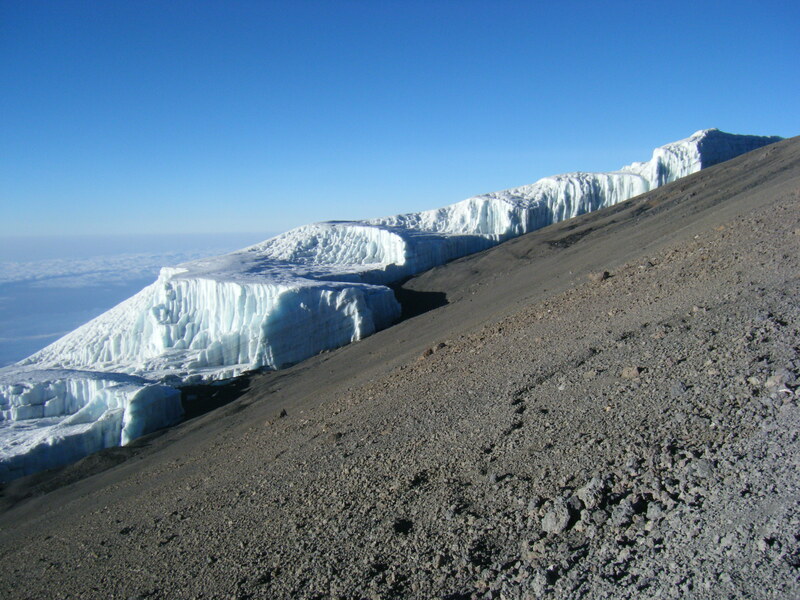 This route allows for 2 days descent down the Marangu path to the main gate. Taking this circuitous route means that there is plenty of time for acclimatization and the walking each day isn’t too strenuous. 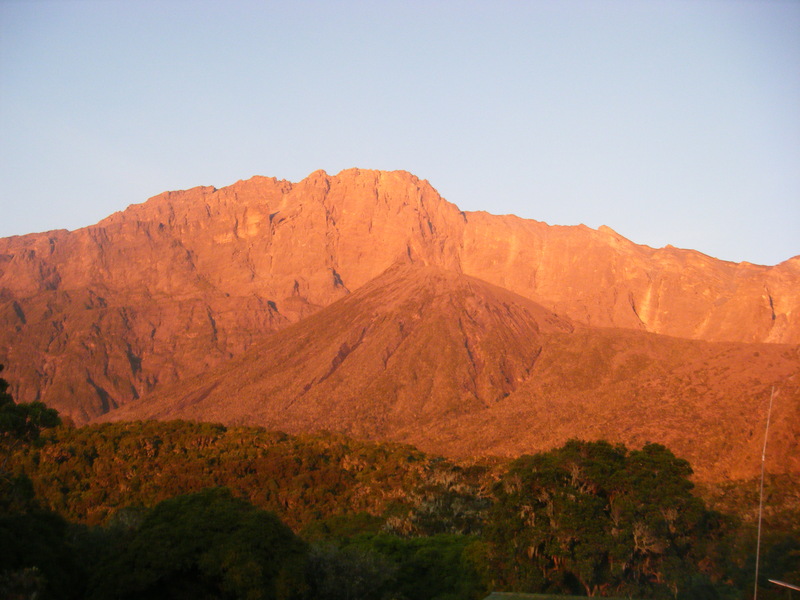 It also means that you get to see two of the volcanoes that make up the Kilimanjaro massif, Kibo (the highest and the one you climb, which is a dormant volcano) and Mawenzi, a striking tower of rock, all that remains of an extinct volcano. 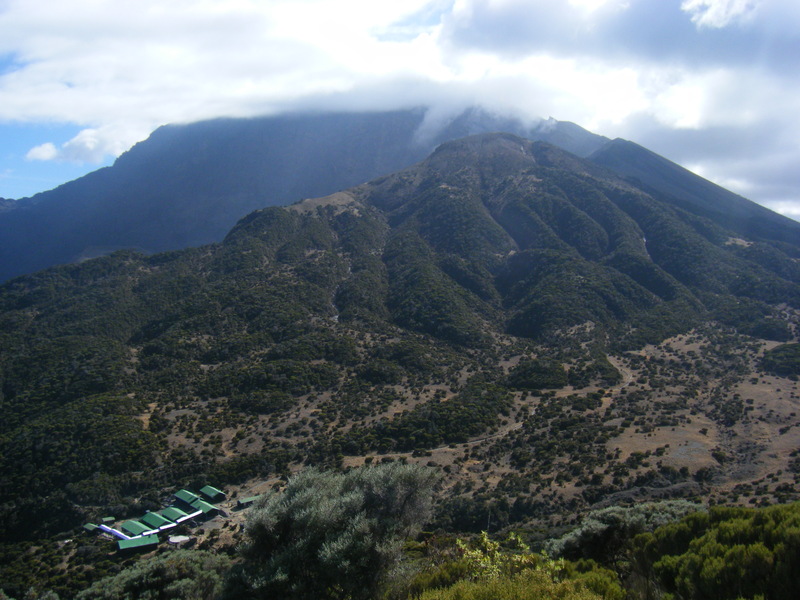 There is also a third and also extinct volcano, Shira, but on the Rongai route you do not pass this. – lots of layers – its warm during the day if your in the sunshine, but cloud can descend after lunch so it can get cold so carry lots of layers. Including thermals for night. – keep your camera warm – that way your batteries won’t die on you before you get to the summit. As happened with one of our group members. I kept mine in my sleeping bag at night and on summit night, in my down jacket pocket. – plenty of painkillers – if you’re anything like me altitude will give you head/ear aches so pain killers are essential. At this point I’ll also add that no matter how much volcanic dust you have up your nose, don’t blow it. It will hurt like hell. 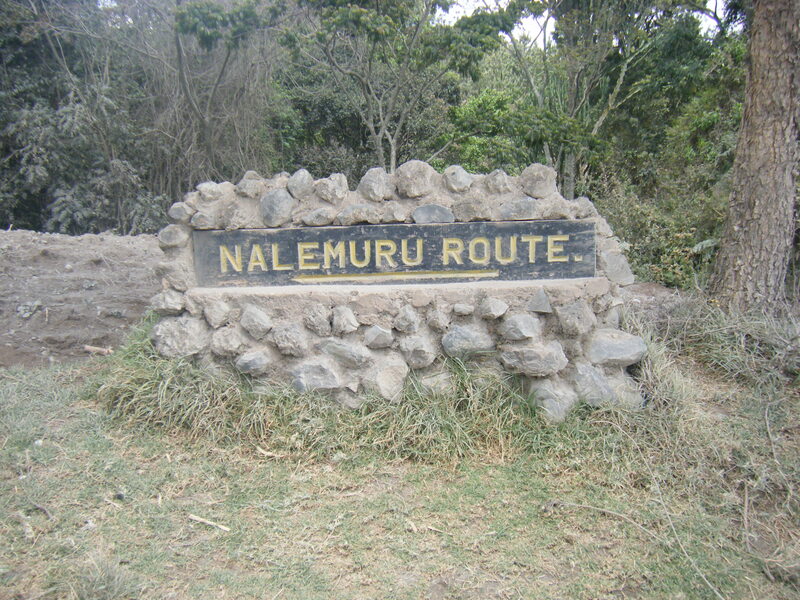 The route’s name as ‘Rongai’ is a bit of a misnomer as we actually started the route at Nalemoru. 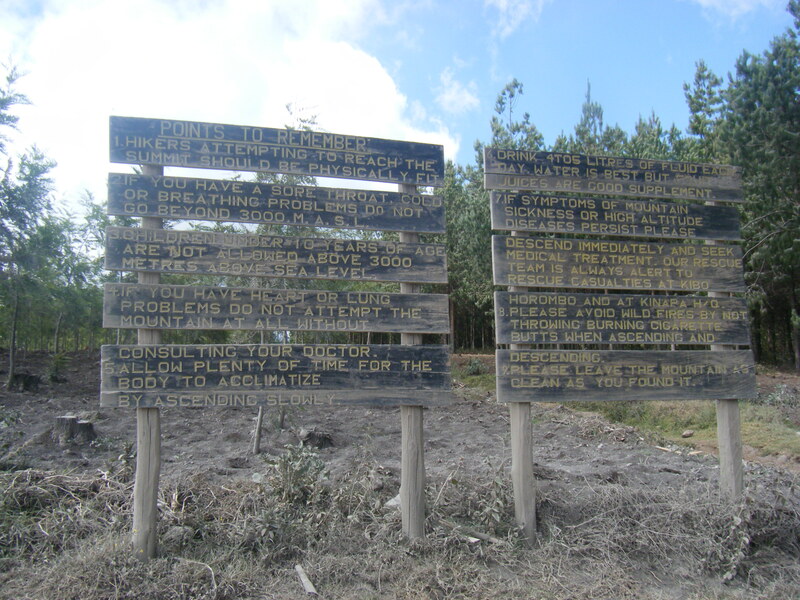 We set out at 10.50am from Nalemoru; its hard to not notice the giant warning signs at the start of the route. 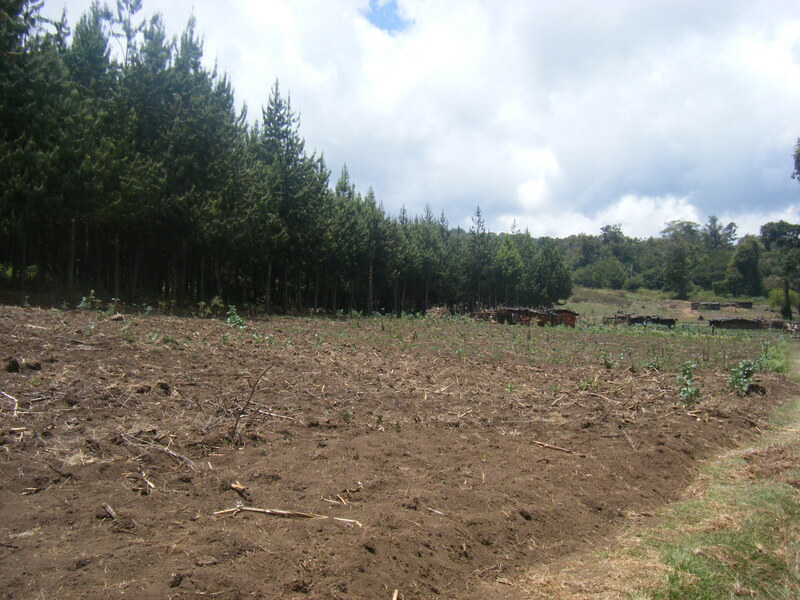 The walk up to the first camp, Simba camp, took until just less than 3 hours, passing through pine plantations edged by small holding farms. As the walk wasn’t too strenuous on the first day we arrived at Simba Camp before the porters had, so we had time to watch them arrive and have their loads weighed by the camp rangers. Almost every campsite has rangers to weigh the loads of the porters to ensure that they are not carrying too much kit. 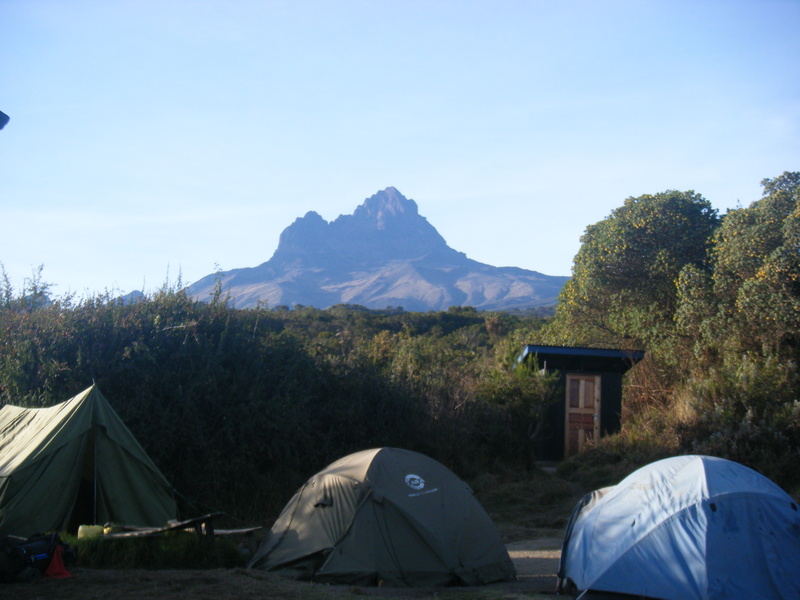 Simba camp has great view of both Kibo summit and also Mawenzi. Today’s walk takes about 6 and a 1/2 hours to reach the next camp. The vegetation lowers and becomes more like scrub. We started out early and arrived at the ‘second cave’ for lunchtime. Second cave is also a camping area for those requiring an extra day or heading from there directly to the summit, so there is plenty of long drop toilets and even picnic benches, which by day two I was used to seeing, but certainly an odd addition to one of the 7 highest mountains in the world! The cloud descended as we left the second cave and headed for our campsite for the night. We joked with the guide that the terrain was a lot like our native Dark Peak area in England – peaty, heathery scrub and bare earth. It just lacked the squelch under foot. 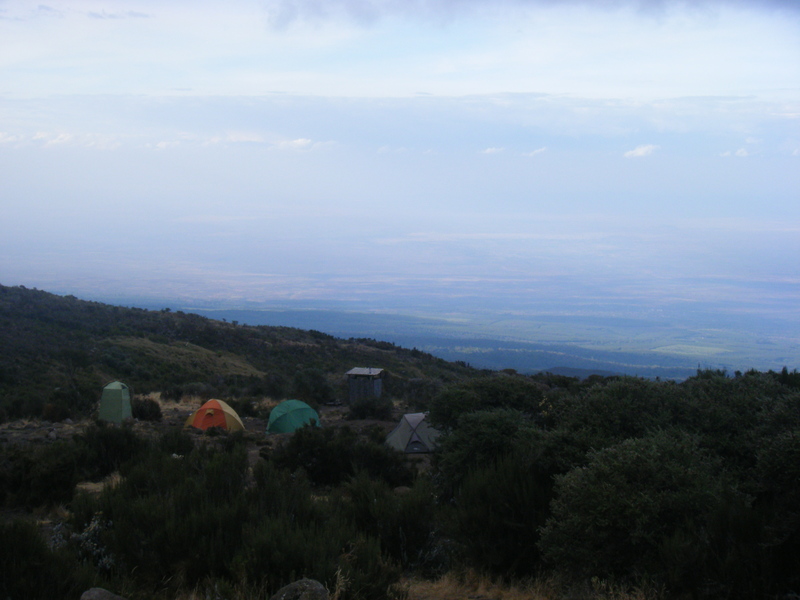 After a few hours at second camp the cloud lifted and we could see back towards the Kenyan plains below. It was a cold night but the coming full moon at least meant that torches weren’t needed for night time excursions! Today’s walk took us over the 4000m altitude threshold. 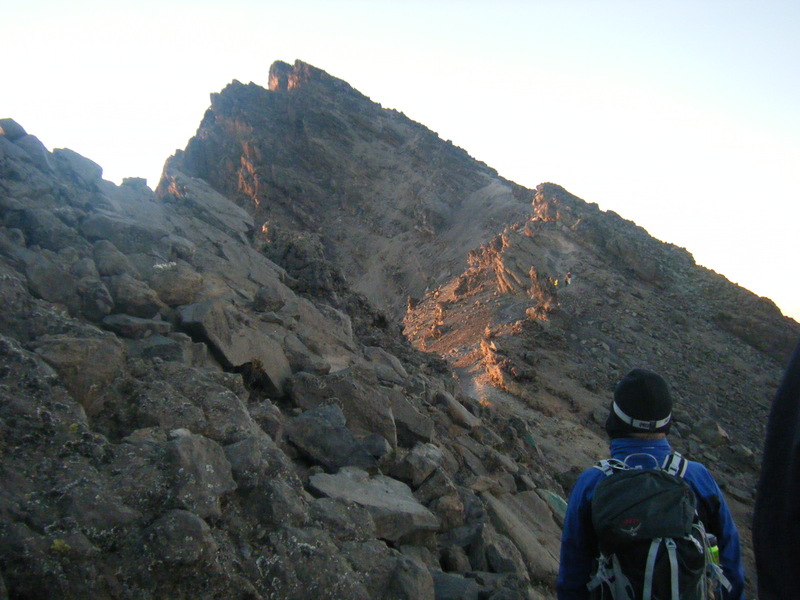 As we’d already done this on Mount Meru we were all fine, and the pace was slow enough that we didn’t stop very often as the path headed uphill. I did notice I had a very mild headache for a short while, but it disappeared – around about the time the cloud lifted and we saw an amazing view of Mawenzi peak in the sunshine. 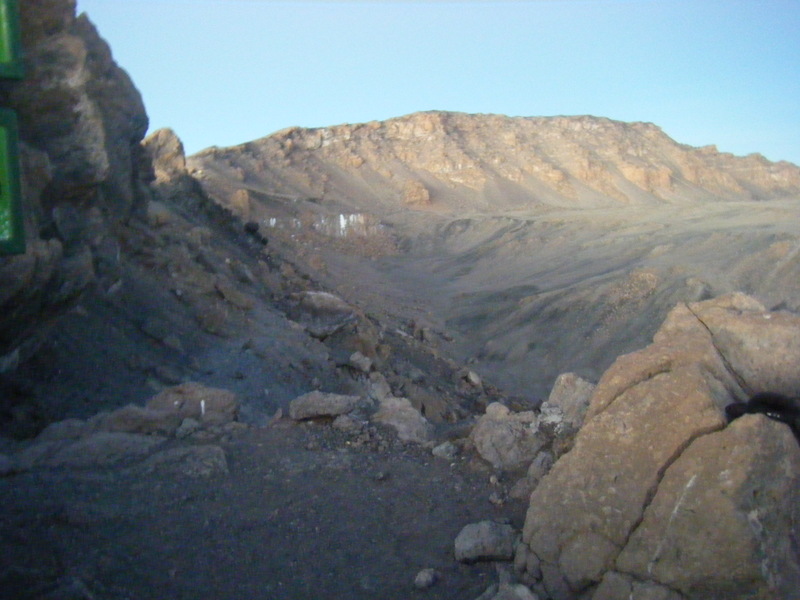 Mawenzi Tarn Hut is rocky and desolate except for the hut itself and the surrounding tents. And the green pond which is your water source for the day. Even cholorinated we could taste the dirt, but eventually you get used to it. 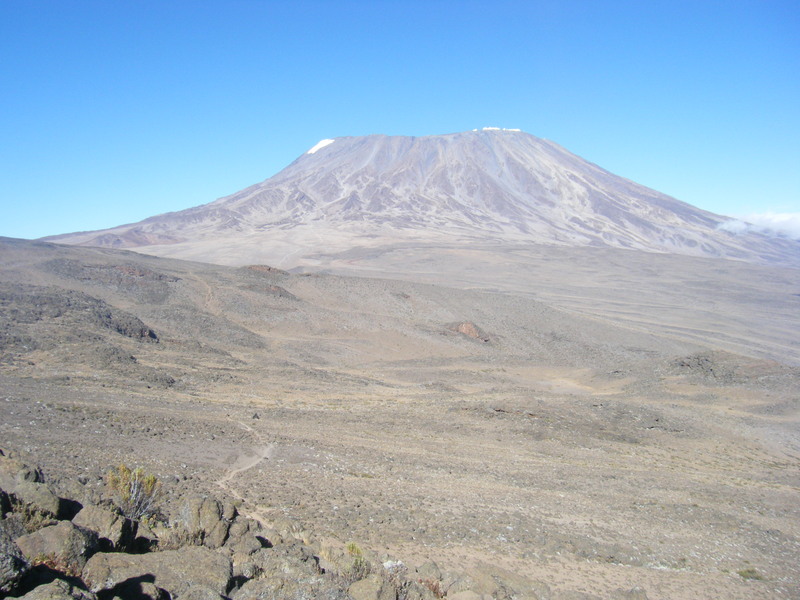 We arrived at camp for lunch so after food we had a short acclimitisation walk to see our route to Kibo huts for tomorrow, the sun was shining and we had a great view of Kibo and the route across the Saddle. 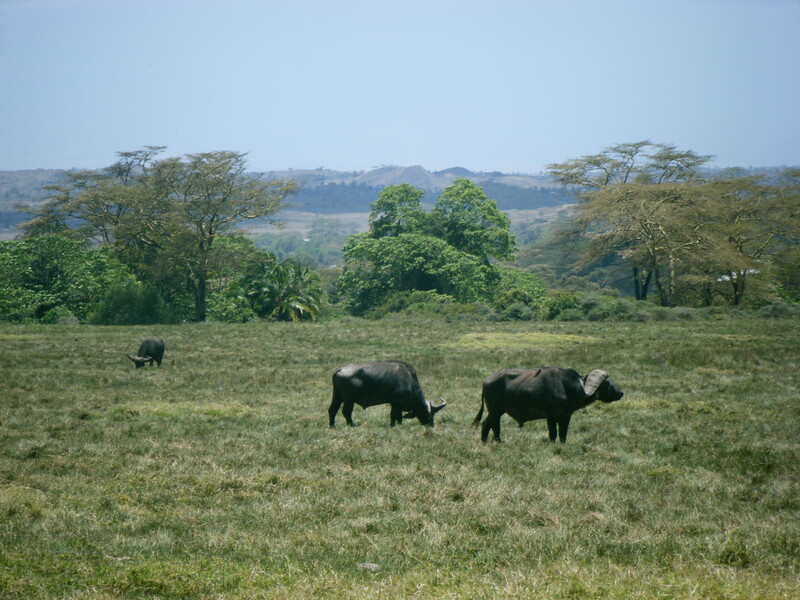 The walk to Kibo huts feels almost flat and isn’t very far from Mawenzi tarn camp, even though you can barely see Kibo huts as you walk across the Saddle. The Saddle area is where the traffic on Kilimanjaro starts to become more noticeable as the track is very wide and many more people are visible. 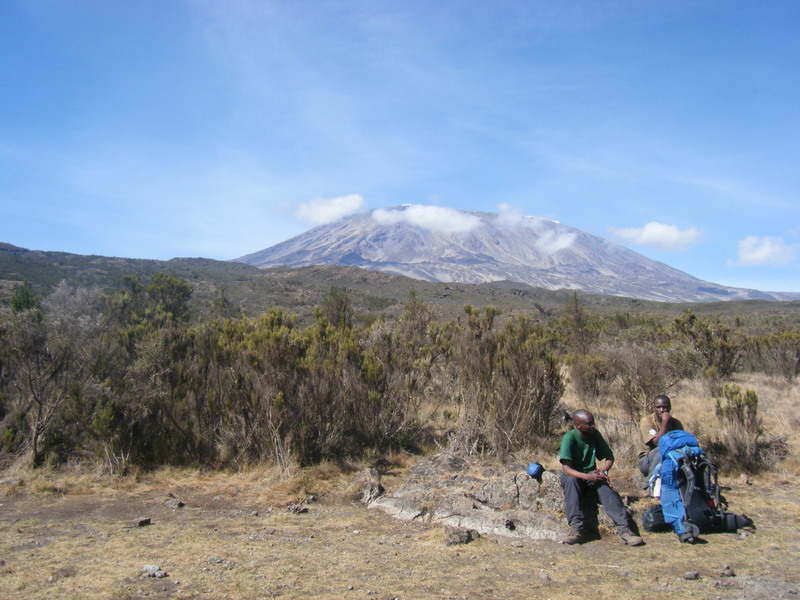 This is because Kibo camp is used by a number of routes to get to the summit. 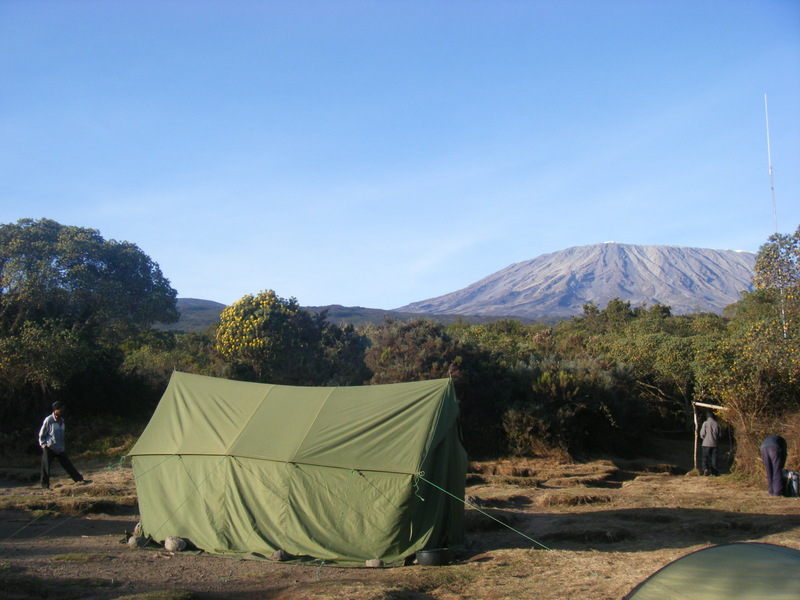 The camp at Kibo huts was so busy our tents were tucked away around rocks. We arrived at Kibo camp late lunch time and after food and our summit briefing from our guide, we were ordered to bed to get sleep before the long day ahead. This is where earplug come in handy as you’re in bed while it’s light and before the porters so there’s quite a bit of noise to block out! Midnight is a strange time to have breakfast and after only a few hours sleep the days had begun to blur into one. We left camp at 12.30am with a lot of people ahead of us. The pace was incredibly slow, and endless zigzags to get up the steep scree slope. Our guide didn’t let us stop a lot or for long which meant we eventually overtook other groups, an odd sensation to overtake anyone when you are shuffling along at snail speed! Just before Gilman’s Point on the crater rim there is the obstacle of Jamaica rocks to get over. These are not a scramble and can easily be tackled, but when your heart is racing (despite the shuffling slow pace) and there’s a mild headache throbbing, they feel like a challenge. We got to Gilman’s Point for sunrise which was magical, although my real memory will always be looking down to the path and seeing the line of ‘zombies’ shuffling up the path! Despite the walk on to Uhuru peak not being more than a mile, it took us almost an hour of shuffling and stopping for breath to get there. I have to admit I didn’t expect the terrain to be as it was, from the bottom Kibo peak looks like a huge smooth dome, so the crater in the middle is a bit unexpected. The glaciers are beautiful though and what I’d really wanted to see most of all. 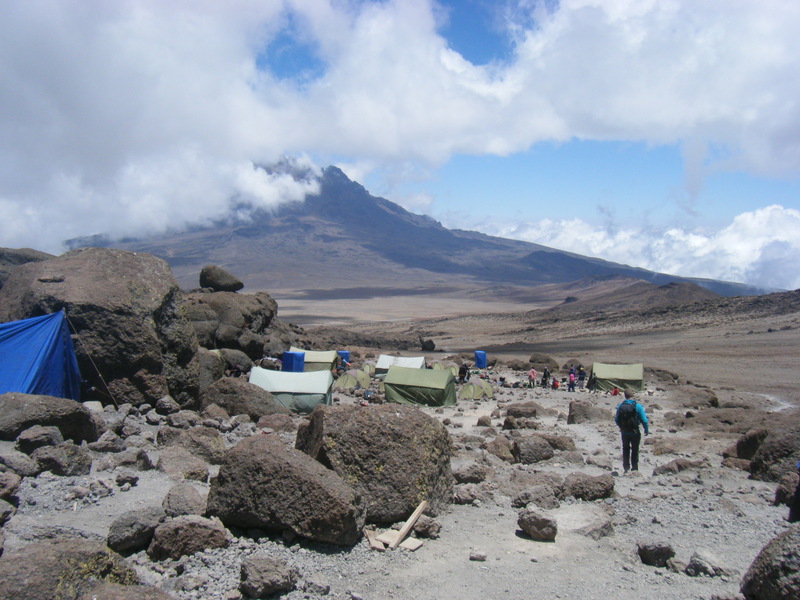 Unfortunately, reaching the summit is only half the battle, as you have to get back to Kibo huts. 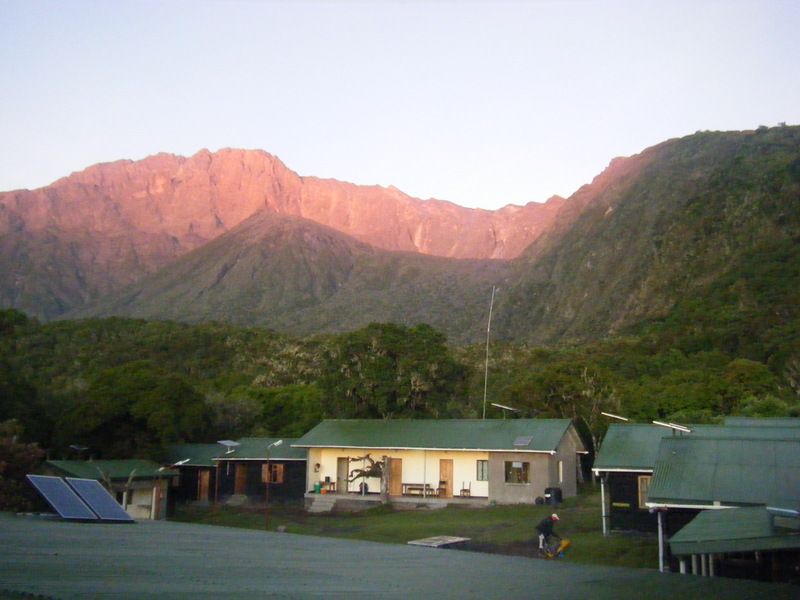 This is a shot of looking down from Gilman’s point to Kibo huts, with Mawenzi peak in the back. So high up you can’t even make out Kibo camp below amidst the rocks. After food and a short sleep we had to pack up and continue walking down the Marangu path to Horombo huts. Despite the snippets of sleep its starts to feel like you’ve been awake for 36 hours. We were awaken at 5am, so that we could eat and pack up and tip the guides before leaving camp. 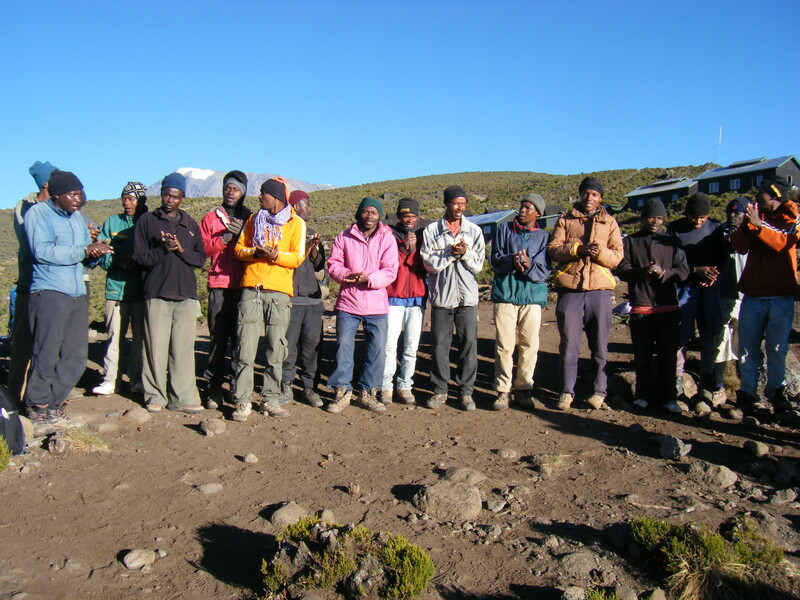 The tipping ceremony is a Kilimanjaro tradition which is fabulous as they sing a celebration song and we were lucky to have Kibo in the background. 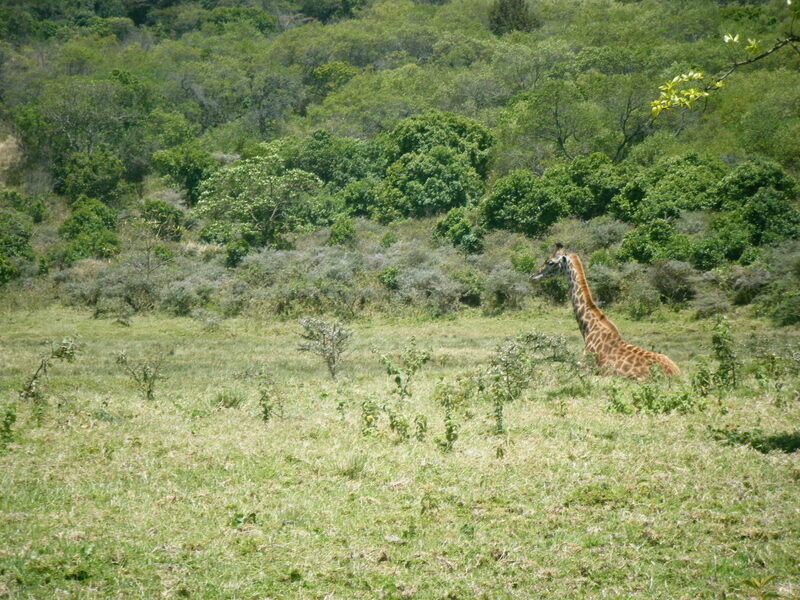 We then left camp and headed down to the Marangu gate. There is no doubt that this side of Kilimanjaro is greener as you descend into proper woodland, but the path is also a very wide track and was extremely busy with porters and hikers heading up. So I’m glad that I didn’t use the Marangu route to ascend. Over all I would definitely recommend the trek to anyone. 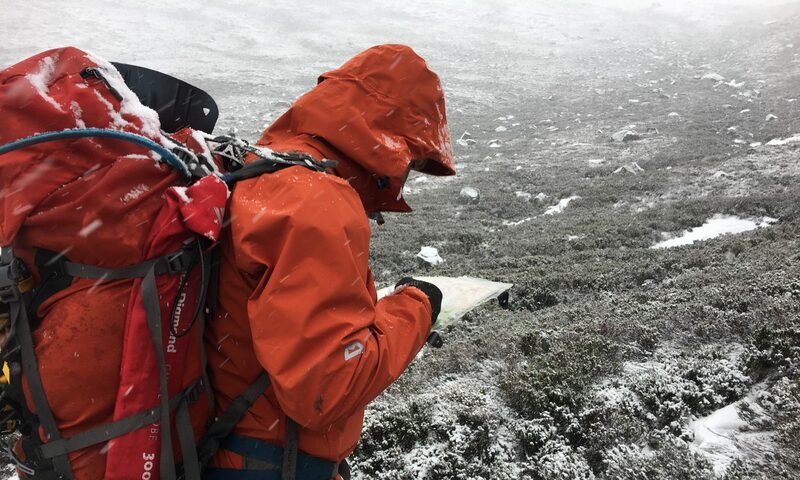 If you have the determination you will succeed, as apart from the altitude the walk itself isn’t that difficult and apart from the summit night/ day you rarely walk for more that 10 miles or 6 hours a day. But there is not telling how altitude will affect you so do take care. On Kilimanjaro I met four other fabulous people who made me realise over the whole trip that all you need in life is adventure. So in the week I’ve been home I have rearranged my life having realised that I want a lifetime of adventures. Who knew two weeks walking in Tanzania could change my life so much? Heading off to climb two African mountains felt like a huge challenge, though mostly of the mind, as I felt confident that (minus potential altitude issues) I could cope with the physical challenge. 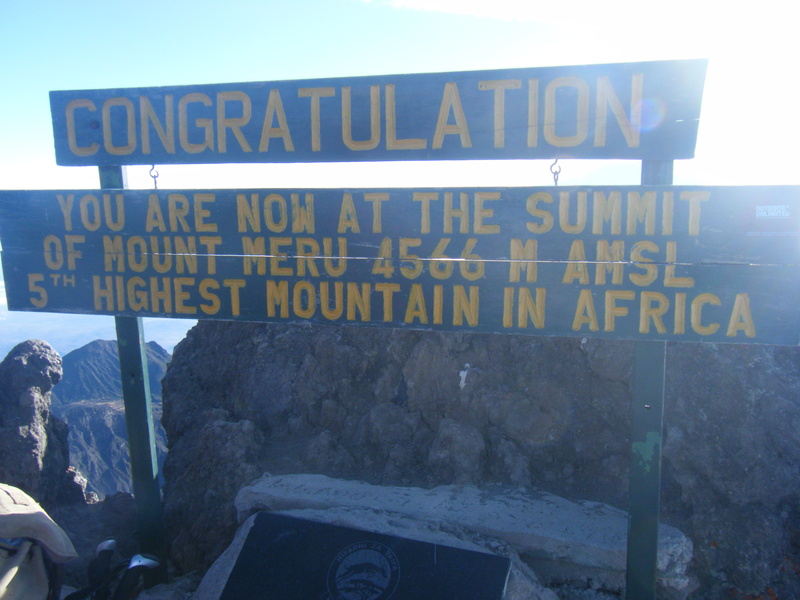 Mount Meru is the 5th highest mountain range in Africa, but was every bit just as challenging as Kilimanjaro which I would climb later. 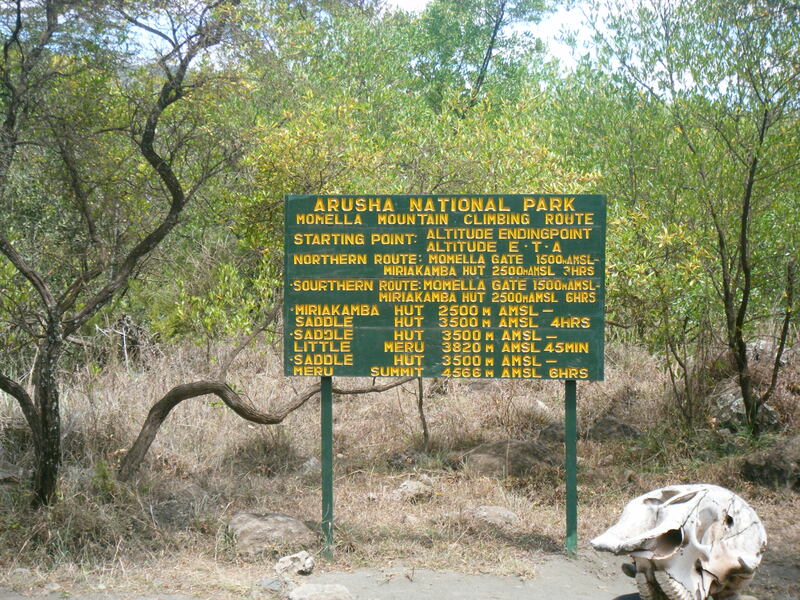 The walk takes 4 days to complete and as it is in the Arusha National Park all groups also require a park ranger (complete with rifle) as well as a guide and the team of porters. I would definitely recommend this mountain to anyone who truly loves walking and is keen to do more than just Kilimanjaro. 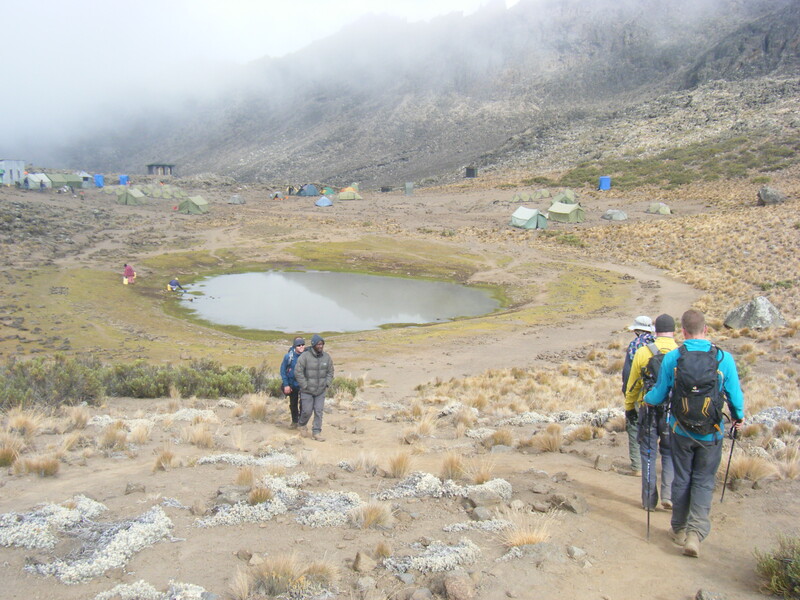 The walk is not difficult but the final night’s ascent is scrambly and much more technically challenging that what you will encounter on Kilimanjaro. So thankfully its not at the same altitude! We started the walk at Momella Gate. 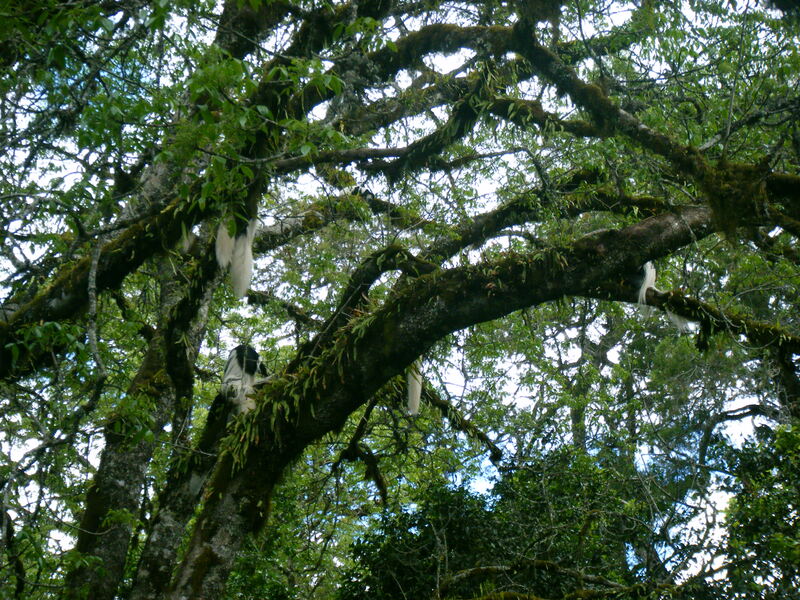 The first day’s walk meanders through the forest, passing by plenty of monkeys and birds as it ascends up to the Mirikamba Huts at 2514m. 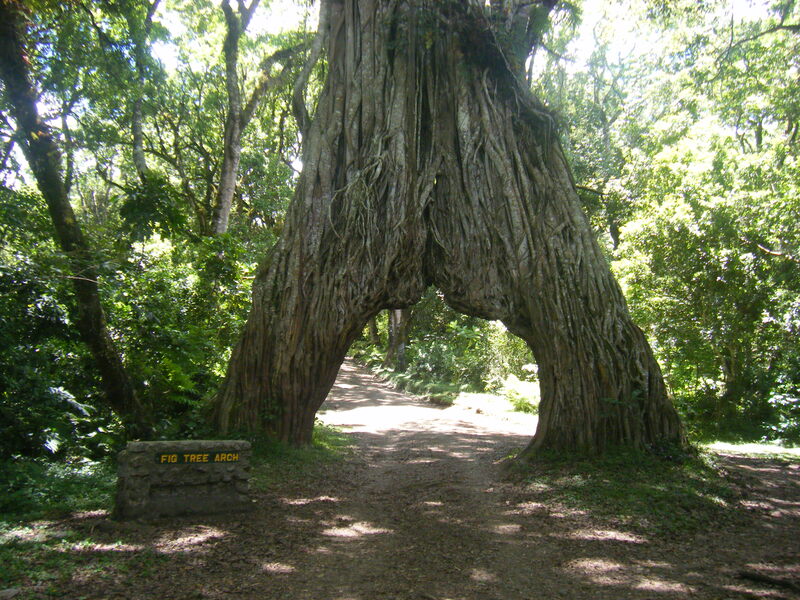 It also passed through the large Fig tree arch en route which was a good place to stop for lunch. Miriakamba huts were bigger than I imagined and I felt very lucky to be given a room to myself (being the only single female in our group and Meru being a relatively quiet mountain in comparison to Kilimanjaro). As this was the first night I’d slept at this altitude in a while I did wake in the early hours listening to the bloody rushing through my head. It wasn’t uncomfortable only unexpected. 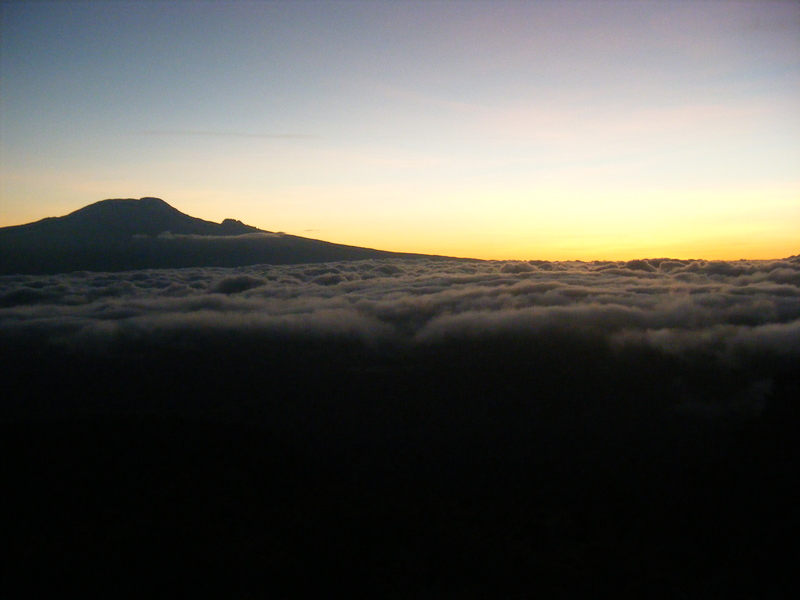 Its worth getting up for sunrise on the first morning to see the sun rise behind Kilimanjaro and light up the rocks of Meru. From the Miriakamba huts, the second day is a much steeper ascent up to Saddle huts at 3566m following the edge of the crater, so its great that all walking is ‘pole-pole’ (slowly slowly) so there’s not as much need for regular stops and no chance of breaking a sweat from walking too fast. 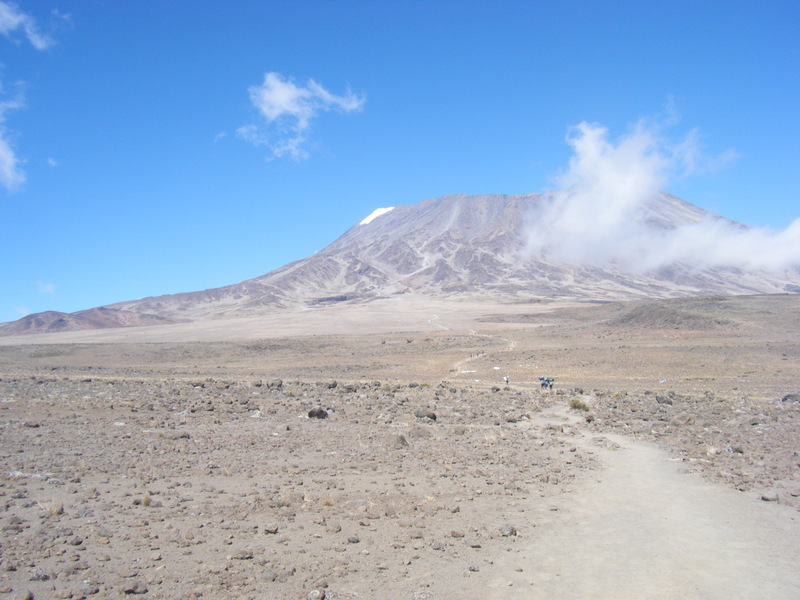 As this isn’t a particularly long walk we arrived at Saddle huts at lunch time, leaving time in the afternoon to climb Little Meru to acclimatise to the altitude. This was only a 2 hour round trip but worth it for the views across Tanzania but also to be able to see the challenge to come. The ascent day started at 1.10am with a very slow walk in the dark heading up to our first checkpoint of Rhino Point, which took until 2.45am. We had a very short break before continuing on, the wind was strong and blowing volcanic dust everywhere making it hard to see. The route from Rhino Point is quite scrambly, traversing around rocks and slowing picking through them to find a route up. In the daylight it is clear that the way is marked by rocks painted green, but in the dark you simply follow the feet in front. 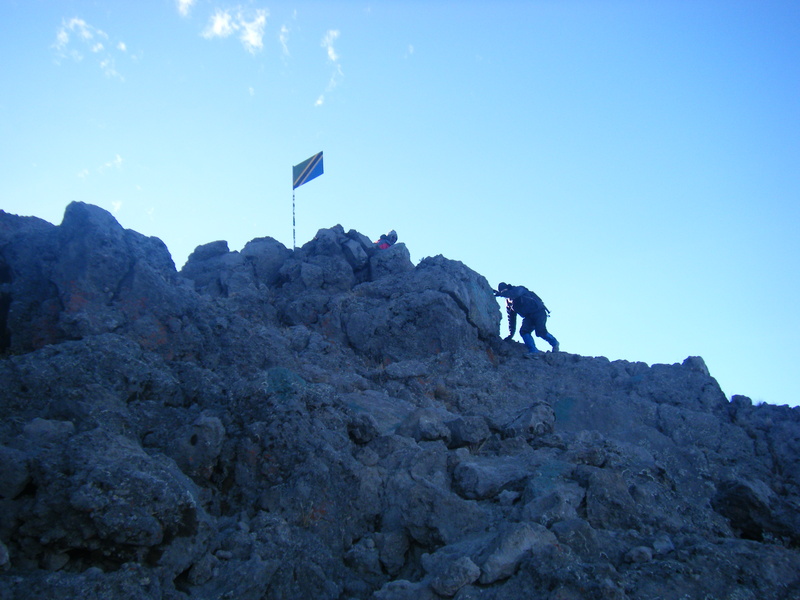 The route is also deceptive and has numerous false summits, (including Cobra Point which from the bottom looks like the summit), before you reach the true summit of Socialist peak at 4565m. We all did fine with the altitude; I only suffered minor headaches and feeling a bit out of breath. (I also don’t recommend blowing your nose too hard above 4000m if you don’t want a nose bleed – no matter how much volcanic dust is up there). In the UK the scramble is comparable to Crib Goch or Tryfan, but with the added issue of the altitude and longevity of the route. After photos and a sugary cup of tea we picked our way back down through the rocks back to Saddle huts. Surprisingly the descent was slow due to the terrain and the very strong wind making it difficult to breath and see. After a hot lunch and a short sleep we packed up and spent the afternoon descending back to Miriakamba huts. We were all grateful for sleep that night after a very long day walking. The following day’s descent back to Momella gate was great as we took the shorter more direct route which the porters use to ascend. 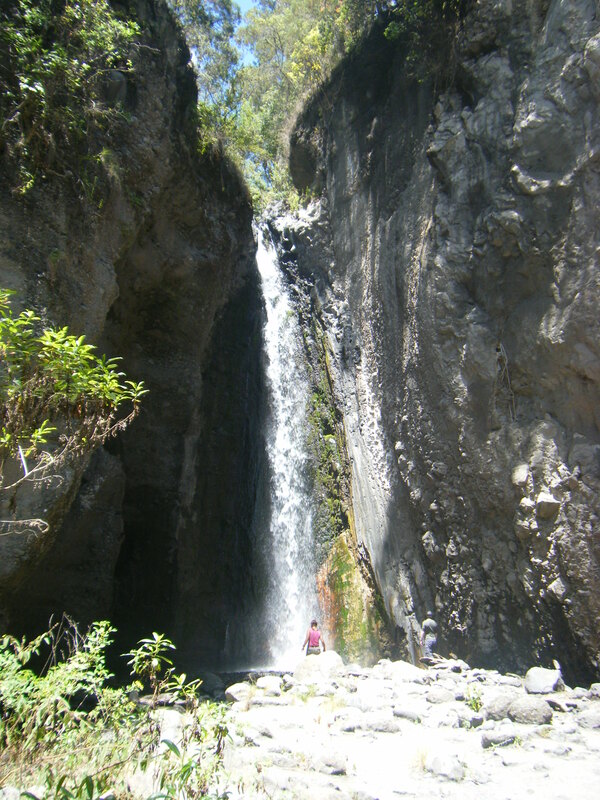 This meant that we also got to see the Tululisia waterfall and plenty of giraffes and buffalo. We arrived back at the Momella gate for lunch time. Why do one peak when you can climb two? 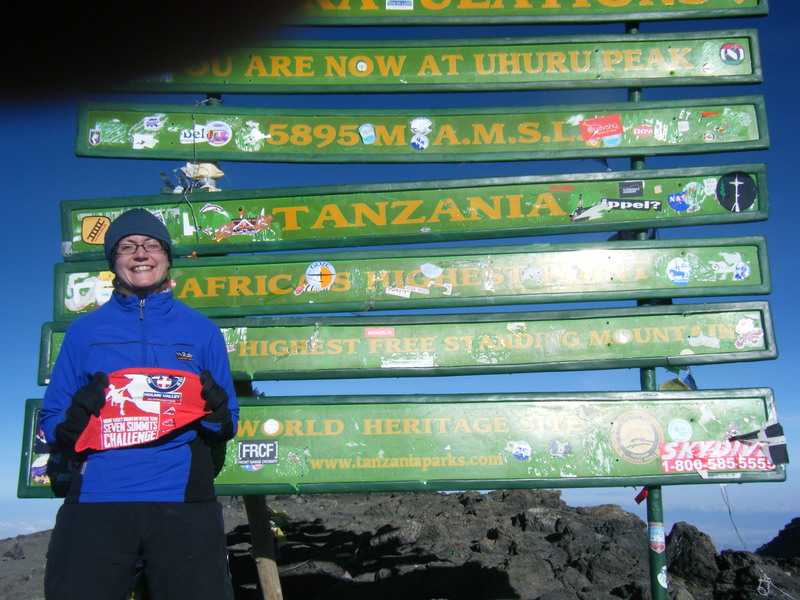 Back in March when I booked the trip of a lifetime to climb Mount Meru and Mount Kilimanjaro it was on the basis that I couldn’t see the point of flying all the way to Tanzania and spending all that money, and only climbing one mountain. 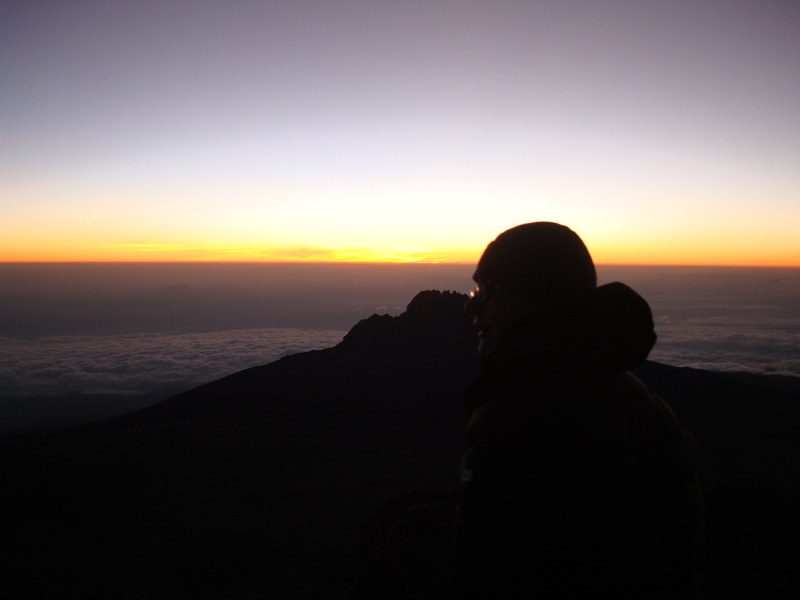 After all squillions of people have climbed Kilimanjaro (ok probably not that many but millions I bet), and its not hard to find lots of blog about people’s trips. 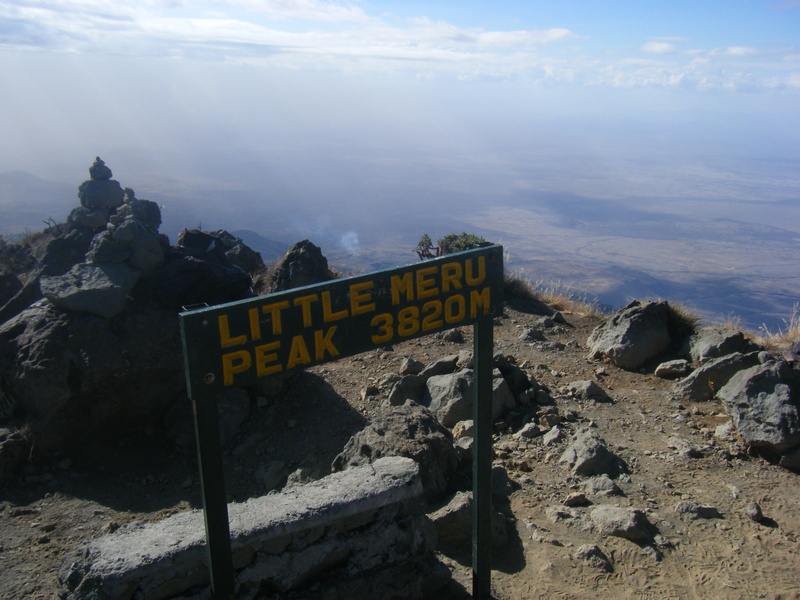 So why not push myself a bit further and climb neighbouring Meru too? 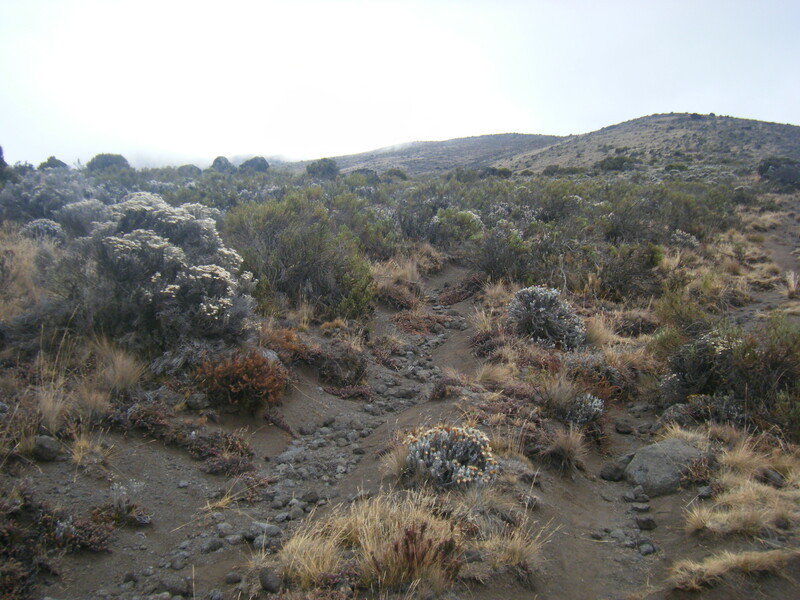 Friends who had done the trip a decade ago said it was highly recommended and that Meru is even a nicer walk and a great way to acclimatize to the altitude. And after all a load of celebrities climbed Kilimanjaro in 2009, (and loads more since) so it can’t be that hard since they’re not exactly hikers. And I might not be superfit but happily cover 20+miles for a walk and managed to get a few of those in this year. So I must be fit enough, right? The difference in my friends and colleagues reaction to my trip is startling. A small bunch are excited for me, and find it amazing and think I’m nuts. My friends who’ve done it before offered loads of advice. But surprisingly most people are really indifferent. As I sit here, in my pj’s watching tv, staring at the amount of kit I have packed and all the stuff I haven’t yet squished in (there’s not a great deal I’m leaving behind, just the kitchen sink) I’m questioning my decision making process. I might have wanted to climb Kilimanjaro since I discovered it was the highest peak in Africa and I didn’t need to be a climber, but Meru? I think I booked the two peak version of the trip as I didn’t want to seem a wimp to my fellow mountain rescue colleagues who had no problem on their trip. Nevermind that they’ve climbed loads of peaks at altitude and this will be my first. But then I am a bit of a tick list person, so why climb just one mountain? 1.- altitude – no base line from which to judge this. Walking the Tour de Mount Blanc last year and making it to 2500m does not qualify me to know how I will react. I am really bothered that this will floor me and I will not make it. Sleeping at that altitude did give me weird dreams so who knows what I’ll be like this time at more than twice that height. 2.- malaria – this bothers me in two respects. I am worried that I will have a reaction to the tablets, which i don’t start taking till two days before I travel (and so it’ll be too late to do anything about it). I’m also worried about giant mosquitoes that will eat me alive. 3.- not seeing anything from the summit (and on two summits!) – this happens to me everywhere I go, be it Scotland, Wales, the Lake District. The Alps last year was the first trip I had wall to wall sunshine. It might be hot but it is currently raining in Tanzania. 6.- a long list of other health complaints – massive first aid kit to solve this. So, with my anxiety packed along with my entire kit store, I am still really looking forward to fulfilling a dream I’ve had for the last 15 years, I just hope I make it. I will have my fingers crossed all the way. I have determination by the bucket load, roughing it is second nature, and whatever happens I know I’ll have an amazing time. Wish me luck! 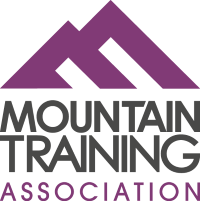 And if you’re from England, give a thought for the Holme Valley Mountain Rescue team who I’ve decided to raise money for. I had the trip booked anyway and thought it would make a good excuse to raise money for their Headquarters appeal. Check out my justgiving link – here. Don’t worry I will kill you all with photos on my return! …. (Now for a week of anxiety and packing)….